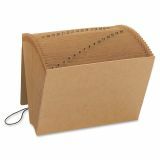 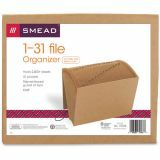 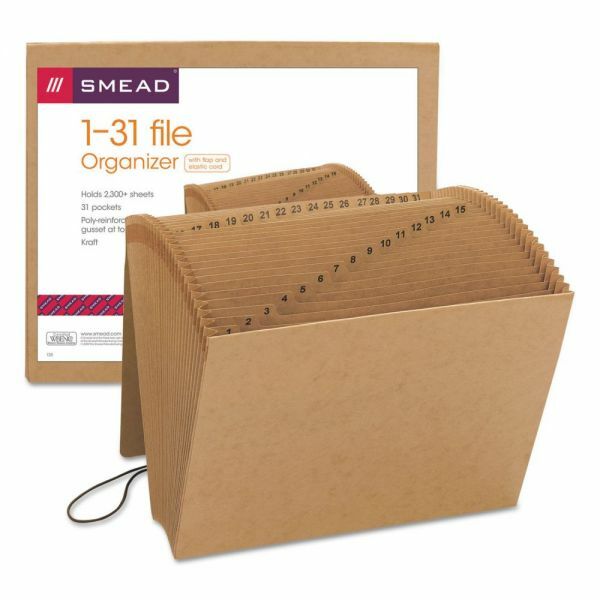 Smead 1-31 Indexed Expanding Files, 31 Pockets, Kraft, Letter - Economical kraft expanding file is an excellent way to organize large amounts of paperwork that needs to be transported quickly, or a way to file material without a file cabinet. 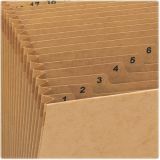 Daily format offers 31 pockets labeled 1 to 31. 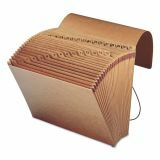 Features an elastic cord on the flap closure for added security and protection. 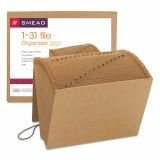 Expanding file offers full height dividers indexed for quick filing and retrieval, full height gusset with cloth tape reinforced at top and double thick front and back panels with heavy reinforcement liner board. 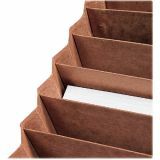 Each pocket expands to 7/8".